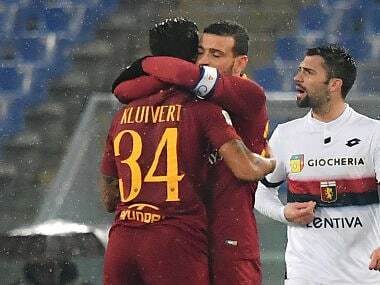 Milan: Roma battled back for a 3-2 Serie A victory over Genoa to give beleaguered coach Eusebio Di Francesco a lifeline at the Stadio Olimpico on Sunday despite goalkeeper Robin Olsen's early blunder. It ended Roma's five-match winless streak dating back to a 4-1 triumph over Sampdoria on 11 November and lifted Di Francesco's side to sixth — two points behind AC Milan in the final Champions League berth. Roma got off to the worst possible start in a tense atmosphere among the 29,000 crowd in Rome where fans had a silent protest in the first ten minutes at the club's management and transfer strategy. "I have to congratulate the lads for how they played in a very surreal environment, for them it was not easy," said Di Francesco. "The team is still sick, but I saw the pride and the desire to bring home the three points." Piatek slid in for his 12th goal of the season to overtake Ronaldo as Serie A's leading scorer. 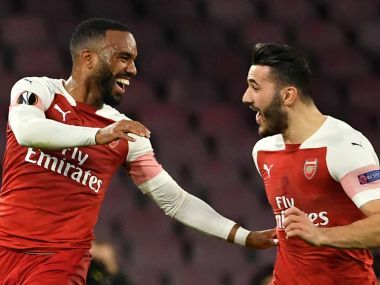 And amid an injury crisis, the 49-year-old switched things around after his side's Champions League defeat midweek with Nicolo Zaniolo in a new attacking role. "I chose above all players who were fresh, young and free of the pressure," said Di Francesco. "My only other option in attack was Patrik Schick, I had no options off the bench in midfield, while in defence I picked Juan Jesus because he is tough and I needed that in this game. "We had a lot of technical errors, but the most important thing was a show of character. 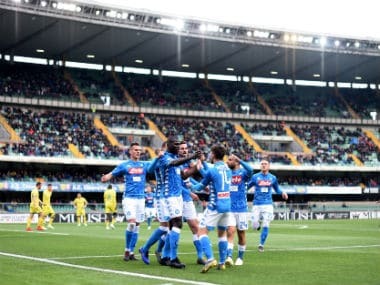 "Genoa are in good shape and they knew that they were up against a Roma side that was a little frightened, so they tried to make the most of the situation." Earlier, Polish striker Arkadiusz Milik's superb injury-time free-kick kept Carlo Ancelotti's side eight points behind Juventus. 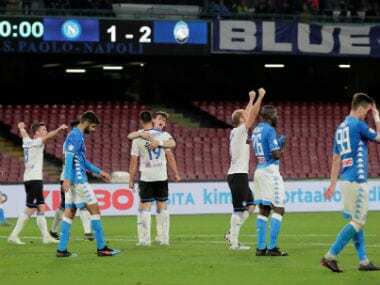 Ancelotti had rung the changes after Napoli's Champions League exit to Liverpool but the visitors struggled in attack against the well-organised Sardinians. "I chose a fresher initial line-up to give us energy throughout the match. It was a mature victory with intensity."